Our RV Campground is available year round (weekends only during June and July) and offers many accommodations. All of our sites have electricity, water and sewage hookups and there is a bathhouse located in the campground. 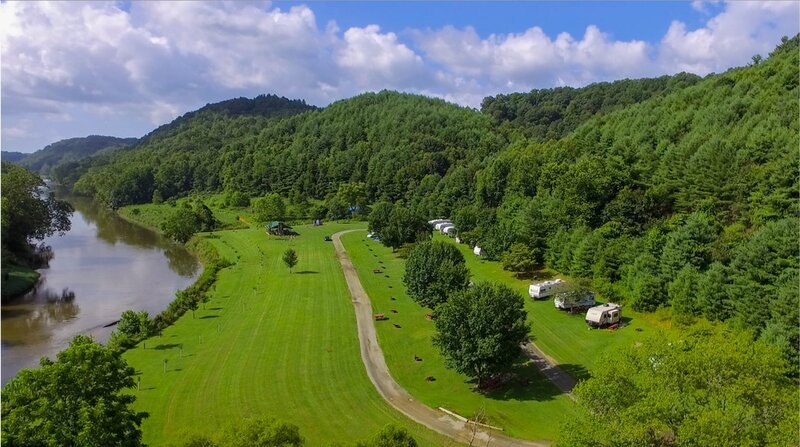 The Campground is nestled alongside the New River close to many of our hiking trails and minutes from the New River Trail State Park. The Campground is located 15 minutes from Galax and Fries Virginia where you will find groceries, restaurants, and many small town shops. Camping is by reservation only. Reservations must made in advance by calling the camp office between 8am and 12pm Monday through Friday. Don’t forget to reserve your sites for Labor Day, Memorial Day, and the 4th of July early. Those weekends fill up fast! Please call us at (276) 744-7241 or email us at office@campdickenson.com for rates and reservations.